Make your first shot, your best shot! The 30-06 Outdoors Mustang Compact Wrist Strap Bow Release features a swivel head design and no-creep precision trigger for hard-hitting, consistent accuracy. Camo buckle strap fits both adults and children. 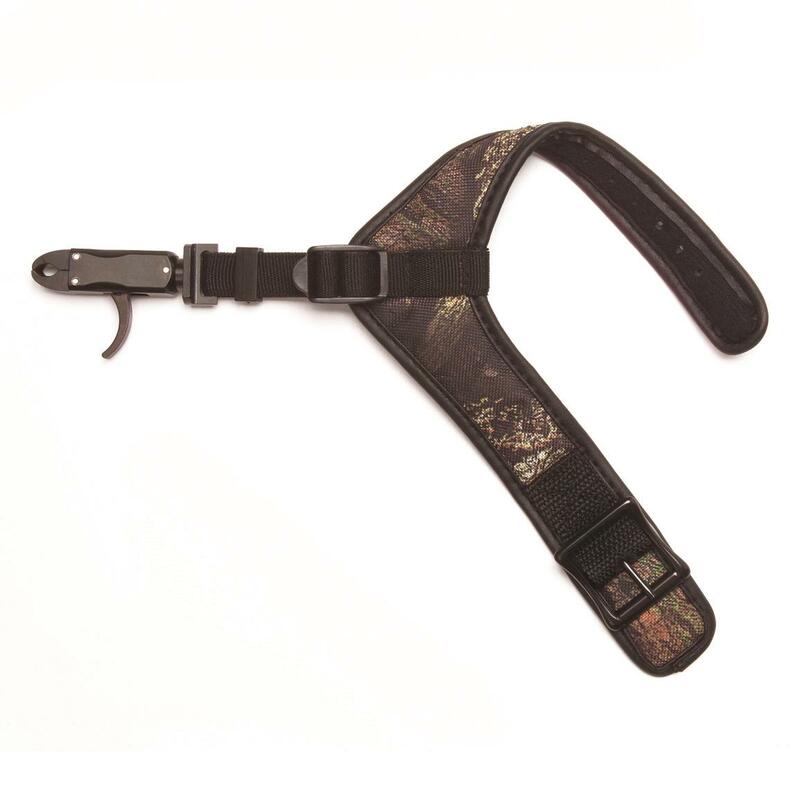 30-06 Outdoors Mustang Compact Wrist Strap Bow Release is rated 4.0 out of 5 by 1. When that moment of truth arrives, trust the Cobra Trophy Dual Caliper Bow Release to get the job done right! Protection and convenience for key elements of your bow. The easy way to refurbish and upgrade your tree stand!